Check back between October 13 and October 19 for new pictures, stories, and updates from our team in Malawi! This afternoon was an adventure, to say the least. We loaded up in our Toyota Fortuner (not Forerunner) and headed to the Ntchisi Forest Reserve, two and a half hours to the north. The last hour was on a dirt road, but the views of the African countryside were breathtaking. We even had a little thrill crossing a shaky wood bridge spanning a ravine. Savings group facilitator, Kumbukani, drove out with us, and before I tell you anything about our day in Ntchisi Forest Reserve, I want to tell you about this local leader. One of our core commitments of Life.Church’s global missions strategy is to “resource local leaders and local churches to serve their local communities,” and Kumbukani is a perfect model of this commitment. Kumbukani is a school teacher in his local village. Five years ago, he trained with his denomination, the Pentecostal Assembly of Malawi (a partner of HOPE International), and took the step of faith to plant a church. Then two years ago, working again with his denomination and curriculum from HOPE International, he took another step of faith and launched a savings group ministry to serve his community. Because of the partnerships that churches like Life.Church have with HOPE International, local churches and leaders like Kumbukani are trained and equipped to serve their local community. Kumbukani helps his community grow in their financial independence, their spiritual maturity and their mindset about investing it into the future. 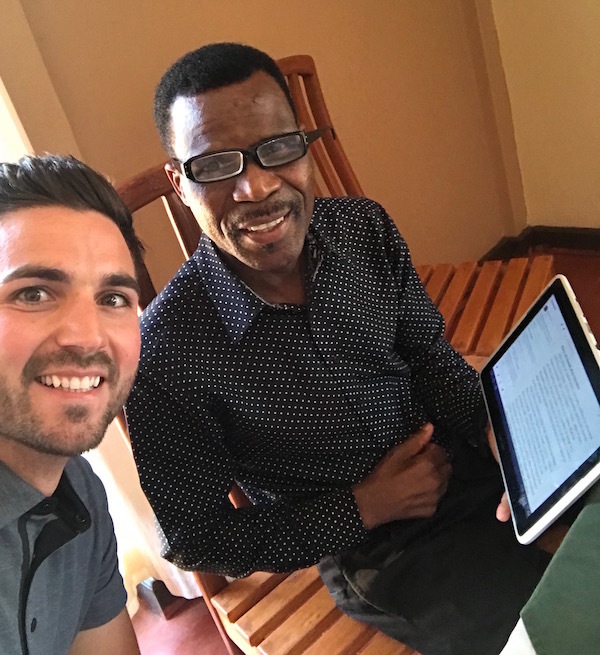 People like Kumbukani prove to me that we can partner with local churches and leaders across the world and help them make a difference in their communities. I saw that truth yet again when we met a group of 15 women in a remote village in the Ntchisi District of Malawi. They call themselves Tilimbe, which translates to “let us be strong.” And after sitting with them for just a few minutes you can see just how strong and confident they are. Vilina is a natural leader—she led the singing and was quick to share stories of how the savings group has impacted her life. Her first comment to our group was, “I was poor.” Note, she said she was poor. Today, because of the saving group and community of faith-filled women she doesn’t have to ask for help. Because of the savings group, she’s built her own brick house and purchased a female goat. Legnat joined the group just nine months ago because she saw the impact the savings group was having on her friend Valina. In that short time, the group equipped Legnant to become a business owner buying groundnuts and bananas from the farmers and then reselling them to vendors in the villages. And she now has the confidence to pray on her own. Next, Margaret stood up and shared a bold, life-giving message around Psalm 91. She stood tall with her Bible in hand, and everyone in the three-walled room listened closely. Margaret came to know Jesus only one and half years ago when she was invited to be part of the savings group. Prior to that, she’d heard about Jesus, but hadn’t decided to follow Him with her whole heart. Today she says she stands in confidence knowing that she is able to pray and share God’s love with others. Margaret, Legant, and Vilina’s stories are amazing—what stands out to me is that they were each impacted by a local leader and a local church. No where did I see or feel that it was about the name “Life.Church” or the name or staff of HOPE International. Instead it was about the passionate and committed group of leaders who were empowered to lead and change their communities for the better. I had the honor to spend they day with Cecilia as she travelled with us to the different villages. I learned that she joined a savings group years ago in effort to start saving and supplementing her parents’ pension as they grow older. She is the youngest of seven kids. 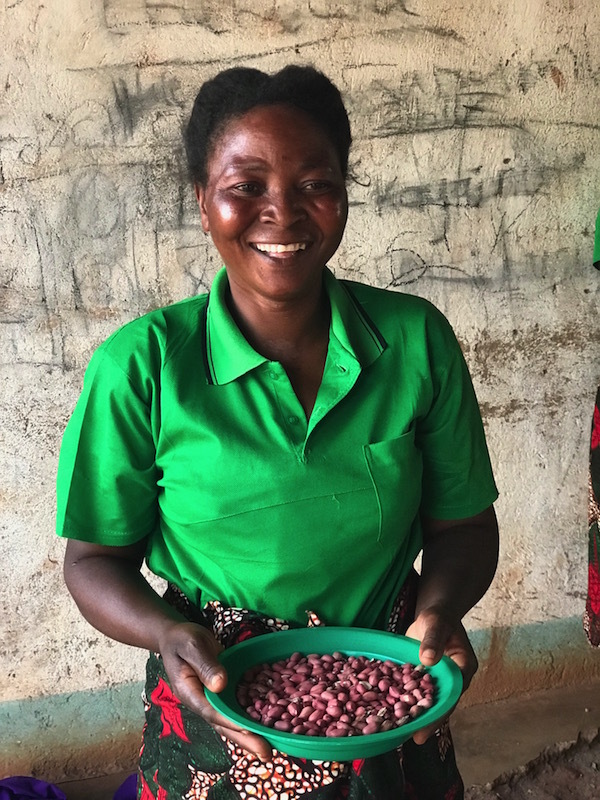 Two years ago, Cecilia stepped into a leadership position with her denomination and has helped establish savings groups all through the Assemblies of God churches in Malawi. Today, she directly leads six field coordinators…who lead 162 church facilitators…who care for 839 groups that impact the financial and spiritual development of more than 9,000 members. She is a testament that everyone really does win when the leader gets better! After a long trek out to Mgada, we came to Namikango (translated Lion) Assemblies of God. As we pulled up to the church, we heard worship songs and saw that the group had started church outside. I posted an Instagram story about it, and they sounded amazing! It’s as if they’ve taken music and voice lessons as they clap and stomp on-beat and sing in different harmonies. It was beautiful. Edina, a widow, has been farming maize for years and just recently joined the savings group in her community. By joining the group she made the decision to save what she had left over each week for the future. After several months of saving, she was able to purchase fertilizer for her crops. 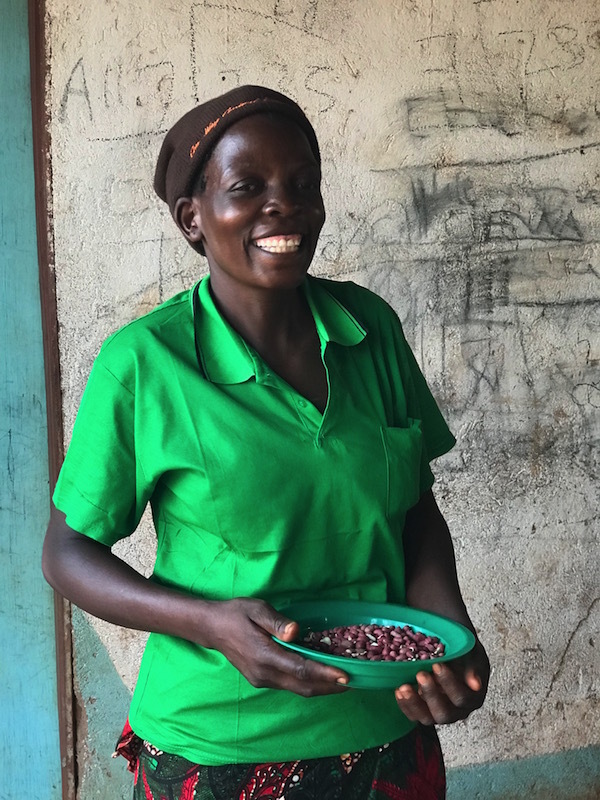 Because she decided to join the savings group, save up, and then invest in her business, she saw a huge difference in the harvest this year. She yielded five times more maize (five ox carts to be exact) and consequently made a better profit than she ever expected. Edina is part of the Namikango Assemblies of God Church led by Pastor Victor. (Remember, when the leader gets better everyone wins.) I met Pastor Victor sitting in the savings group he and his wife are both part of. Pastor Victor wasn’t there to preach a message or care for his congregation. Instead Pastor Victor was there to participate in the group, save for his family, and give to the social fund benefiting the needs of their group. 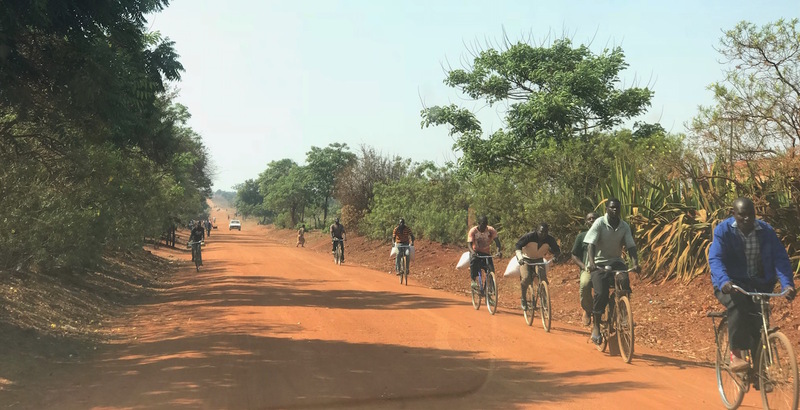 The savings group equipped him to take out a loan to purchase reliable transportation (a motorcycle) so he can travel among the villages of his area. But as a pastor, he said the savings groups meeting in his church have increased the commitment and spiritual growth of his congregation and that the members of his church have become even more faithful to tithe and be generous to funding special projects in their church. In the afternoon HOPE International hosted a meetup at a local church so we could learn from pastors who started the savings groups ministry and the church leaders who raised up the vision and volunteers for them. One church facilitator I met was Matthew. After receiving five days of training from the Assemblies of God (with curriculum provided by HOPE International), he stepped into a new volunteer leadership role. And because of the ongoing leadership development he receives from his church, denomination, and field coordinator, Matthew’s leadership skills have impacted not just his work in the savings groups but his own family and church. It was a long, full day, and we ended it by packing up our stuff and heading to a city 100 kilometers to the east called Salima. Tomorrow we meet more local pastors and church leaders then head out to a savings group. More stories and pictures to come! 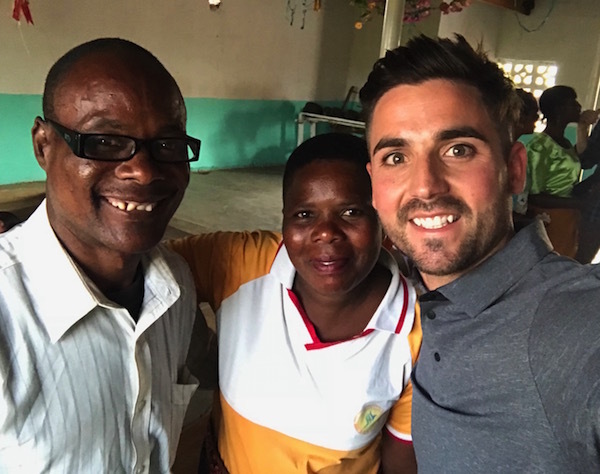 When it comes to global missions, Life.Church is committed to “resourcing local leaders and local churches to serve their local communities.” Today we saw every aspect of that lived out by our partner HOPE International through the savings groups they’ve implemented in Malawi. 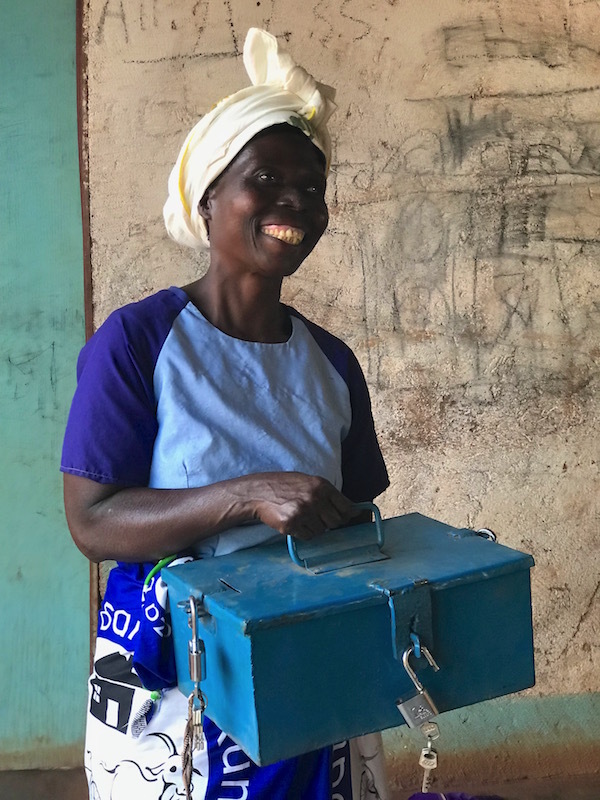 By the end of 2017, HOPE will have served 53,000 people in Malawi through 3,200 savings groups or “Savings and Credit Associations.” Those numbers are great, but what stands out to me even more is that these savings groups are all powered by locals. Savings groups are a ministry of these local leaders and their local churches. 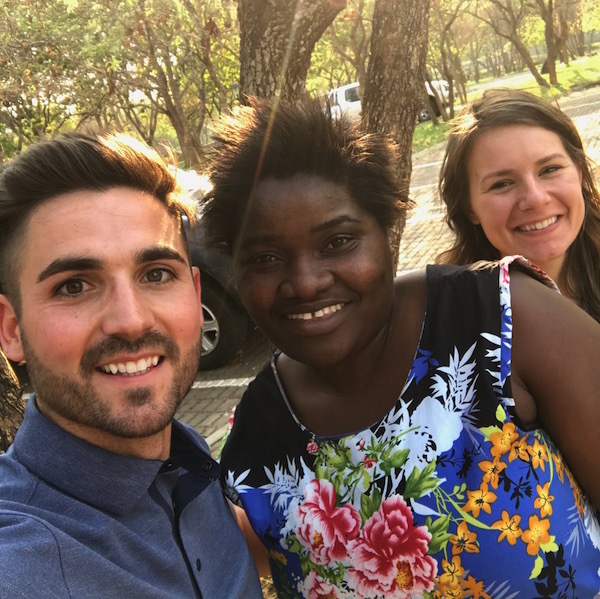 Here’s how it works: The bi-vocational field coordinators of HOPE raise up local volunteer church leaders to facilitate groups of 15 to 20 Malawians to meet weekly. Every week, the leader conducts the 5 Ws: Welcome, Worship, Word, Work, Wrap-Up. It feels like a mini church service—but with added learning and discussion on business ownership, spiritual disciplines, and financial savings. We spent the morning learning from the HOPE staff and some influential denominational leaders. Then, we got to experience a savings group meeting firsthand at Liwera Church in a small village outside the capital city of Lilongwe. Belita has owned a business selling tomatoes since 2001. But not until joining the savings group at Liwera Church three years ago did she ever think beyond her immediate needs. Now, by having the community and training of her savings group, Belita is able to invest back into her business so much that she’s expanded to farming her own maize. Plus, Belita and the rest of the saving groups members give weekly to a “social fund” so they can support each other when facing hard times or sick days. Her mindset has shifted to planning ahead and giving above-and-beyond to meet the needs of her neighbors. And the best part? The weekly savings group has transformed her spiritually, too. Pastors Griffin & Bythpiwa are both members of the savings group. The more I talked with them, the more dimension their story took on. 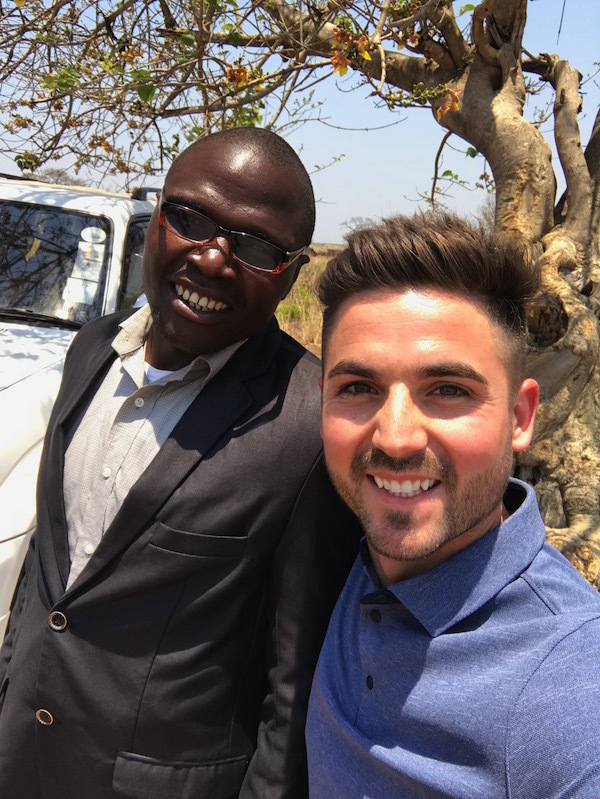 First, Pastor Griffin serves as the Associate Pastor of Liwera Church and is in his last year of Bible college at a school in Malawi. He hopes to one day lead a church in Lilongwe. 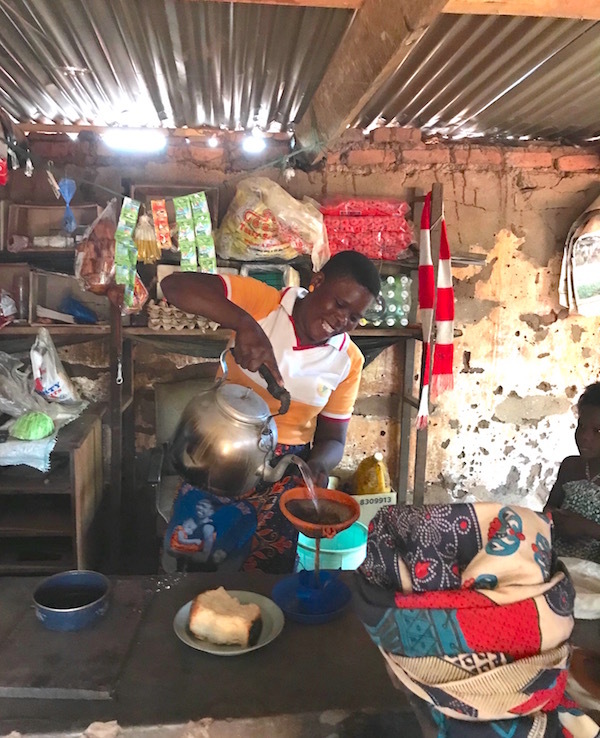 Because of the savings group, he and his wife took a struggling tea house and expanded it into a thriving local business. They now farm maize (corn) and groundnuts (peanuts) on a three-acre garden, and they just launched a new business to make and sell bricks to local home builders. And it all happened because local leaders launched a savings group and sewed the principles of saving and generosity into their marriage and family. Reverend Leo serves under the Bishop of the Pentecostal Assembly of Malawi and pastors his own church, Jesus Worship Center—plus he’s a program coordinator for HOPE Malawi. At lunch, I got to hear about his family, his journey to lead his church six months ago, and how much he loves the YouVersion Bible App. When he loaded the Bible App on his tablet, I noticed the default language was set to English. He and I were communicating in English just fine, but I remembered he’d said that he preached in their local language of Chichewa. So I asked him if he knew there was a Chichewa Bible translation in the app. He was somewhat confused—he thought the Bible App was only in English. So right there at lunch we set his app to Chichewa. When he saw it load on his screen he literally stood up, raise his hands in the air and gave a shot for joy! Not only did I get to experience his ministry, I got to experience a little of ours as I saw how much reading the Bible in the language of his heart meant to him. Tomorrow will be Tuesday, and we’ll be back in the field visiting more savings groups. I cannot wait to hear more stories of local leaders being empowered, local churches being resourced, and lives being changed. We left Dallas on Friday, and finally made it to Malawi on Sunday, October 15 around 1:00pm. The journey was really long, but it was safe! 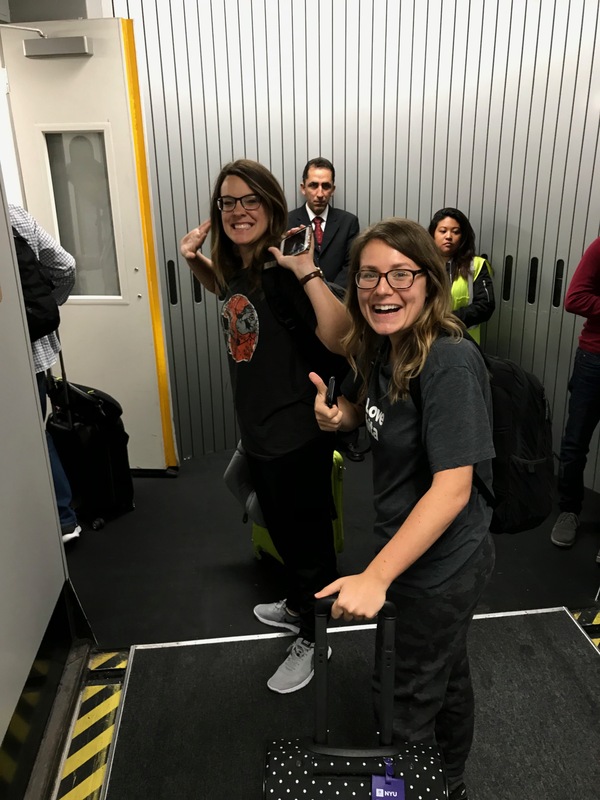 And, the 19-hour flight gave our group of eight the perfect chance to hear each other’s personal stories and get pumped for the next few days with our global missions partner, HOPE International. What I wasn’t expecting though is for our travel time to show how God is moving in the “capital C” Church. I had thought it might be a lot of flying and sleeping, but I built new relationships with pastors and church leaders before even getting to Malawi. Goes to show that the Open Network’s bright blue “We Love the Local Church” shirt is a great conversation starter. First, I met Bonnie on the flight from OKC to LAX. She walked down the aisle on the plane and asked me directly, “Are you part of the Open Network?” Bonnie and her family have been part of an amazing Open Network church, H20 Church, in Ada, Oklahoma for six years. She was so excited to hear that we were sharing the “why” behind Life.Church’s global missions strategy with the whole Open Network. On the next flight—from Ethiopia to Malawi—I met Jason, the Associate/Missions Pastor at North Shore Christian Fellowship in Oahu, Hawaii. He shared his radical salvation story with me of being a drug dealer and then coming to know Jesus. Now 20 years later, Jason is raising up the next generation of pastors in his church. 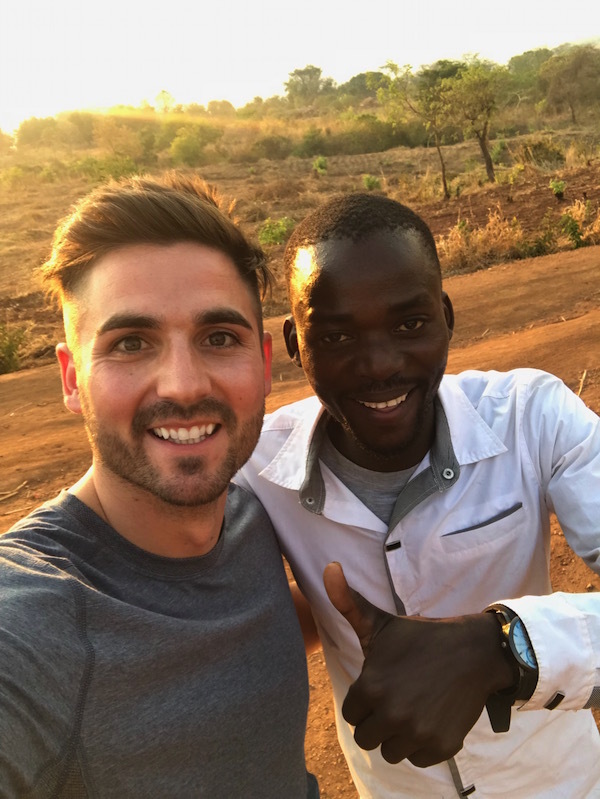 North Shore has been working with a local ministry in Malawi for years, and our paths crossed as he was making another trip to support that local ministry. On Monday, we’ll be out in the country learning how local pastors and churches are training up facilitators through HOPE International’s program to build up the financial and relationship strength of their community through savings groups. I can’t wait to learn and share more about this work happening in Malawi as the week unfolds. 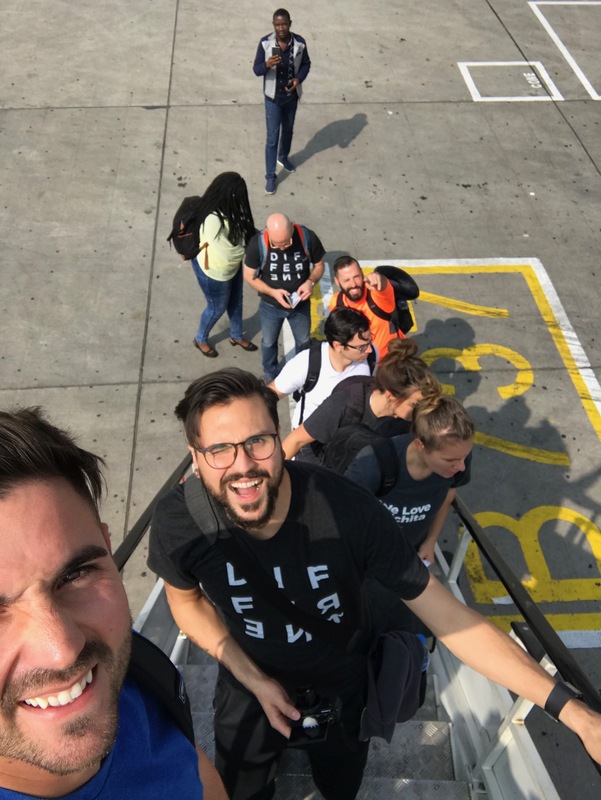 Kyle and the Life.Church team are flying from Dallas to Malawi, via California and Dublin—it’s a 19-hour flight across multiple timezones. When they land, they’ll be ready to be off the airplane! And, they’ll be ready to start sharing pictures in Lilongwe, the capital of Malawi, and introduce us to the HOPE International team they’re joining up with. 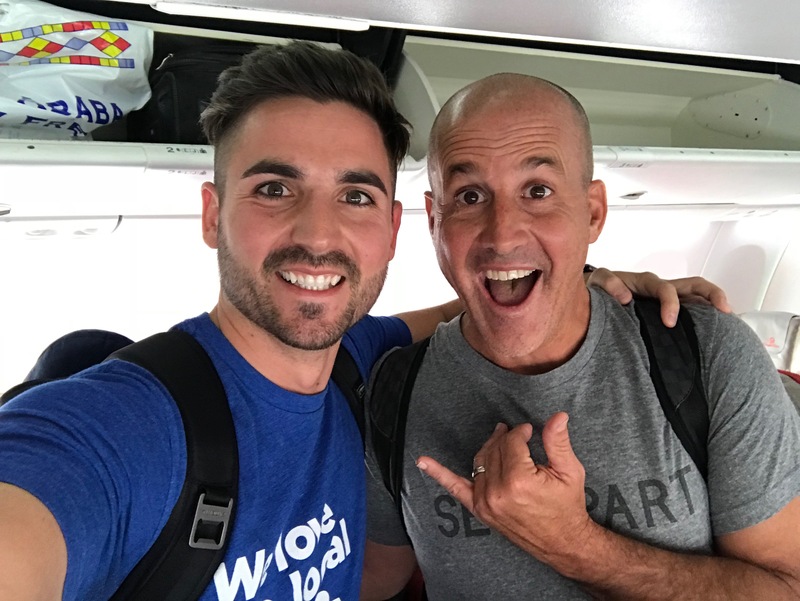 Until then, you can get a little context for what a “site visit” is and how it differs from a “missions trip” with this short video from Jeff Galley, leader of LifeMissions at Life.Church, and Kyle. 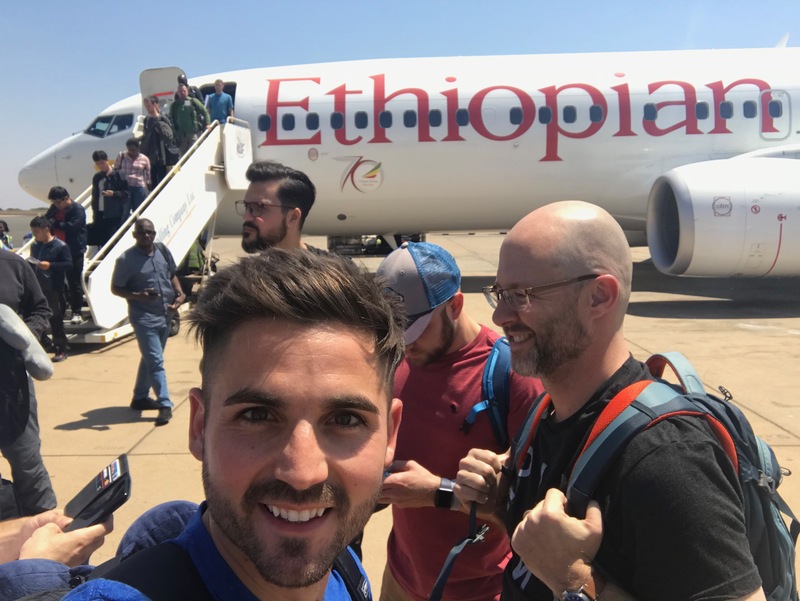 A group of Life.Church team members, including Open Network Team Leader Kyle Kutter, will be in Malawi this week working closely with global mission partner HOPE International. 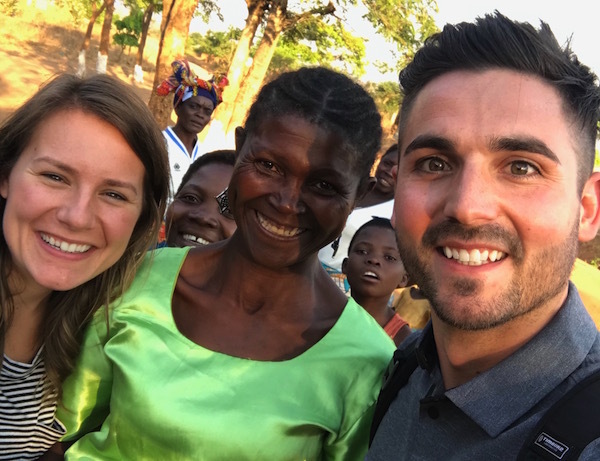 Follow along with Kyle as he shares our approach for doing missions and shares pictures and stories live from Malawi. Follow us on Instagram and Facebook to catch all the highlights!